While most of us in the northern hemisphere are turning up the thermostat, several creative designers are turning that below-zero chill into incredible examples of ice architecture. We've scoured the world's coldest corners to bring you a flurry of beautiful buildings and interiors that have been built from ice and snow. 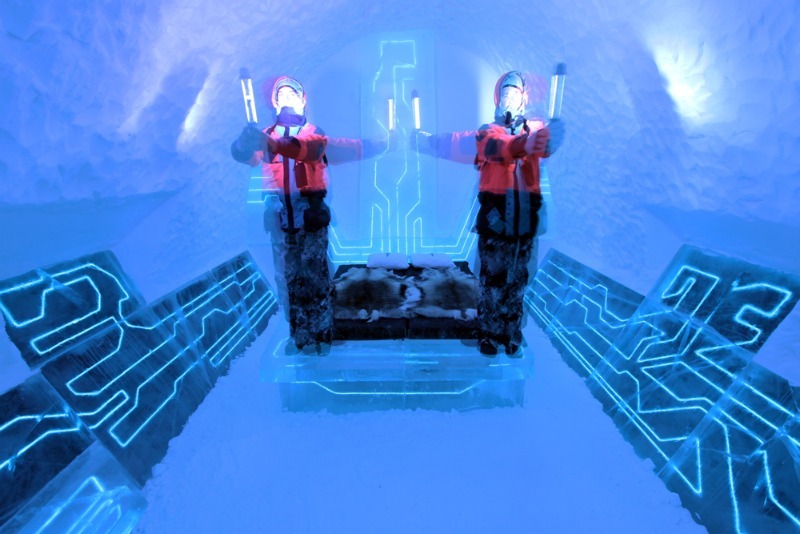 From a <a href="https://inhabitat.com/electricfied-tron-legacy-inspired-icehotel-suite-in-sweden/">Tron-inspired ice suite</a> in Sweden to a <a href="http://www.snowcastle.net/en/homepage/">sparkling snow castle</a> in Finland to an<a href="https://inhabitat.com/minnesota-man-uses-geothermal-heating-system-to-build-soaring-ice-castles/"> icicle-laden citadel </a>built in Minnesota, hold on tight to your hot cup of joe and hit the jump for a sampling of some of the coolest frozen structures on earth. 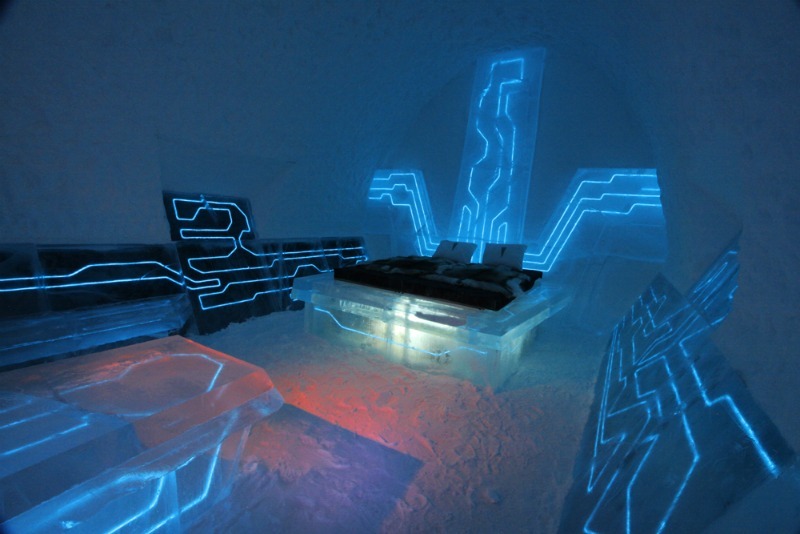 <h3><big><a href="https://inhabitat.com/electricfied-tron-legacy-inspired-icehotel-suite-in-sweden/">TRON ICE HOTEL SUITE</a></big></h3> In anticipation of the release of <a href="http://www.imdb.com/title/tt1104001/">3D TRON: Legacy</a>, <a href="http://extreme-design.net/wordpress/?page_id=33">Ben Rousseau</a> and<a href="http://extreme-design.net/wordpress/?page_id=37"> Ian Douglas–Jones</a> created a suite at the famous <a href="http://www.icehotel.com/">IceHotel</a> above the Arctic Circle in Sweden. The electric blue Tron-inspired lighting scheme was achieved by cutting grooves into the ice, inserting energy efficient EL wire and then icing over the wire to keep it in place. The "<a href="http://extreme-design.net/">Legacy Of The River</a>" suite, was part of their campaign to launch a new line of illuminated furniture and products, which debuted shortly after the film's release. 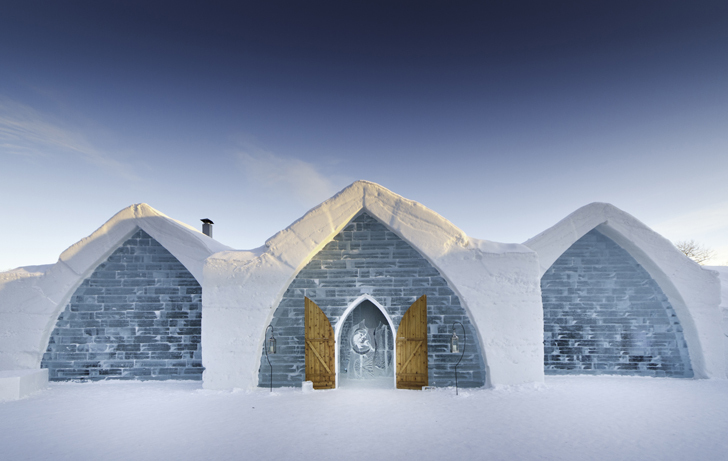 <h3><big><a href="https://inhabitat.com/quebecs-hotel-de-glace-is-a-sculpted-winter-wonderland-escape-made-of-ice-and-snow/">QUEBEC'S HOTEL DE GLACE</a></big></h3> Every January the gorgeous <a href="http://www.hoteldeglace-canada.com/">Hotel De Glace</a> in Quebec City opens to the public, and visitors are invited to sleep in artistically designed ice rooms. Made almost <a href="https://inhabitat.com/finlands-hotel-kakslauttanen-offers-unrivaled-views-of-northern-lights-from-your-own-private-thermal-glass-igloo/">entirely from snow and ice</a>, the hotel changes design and shape each winter. 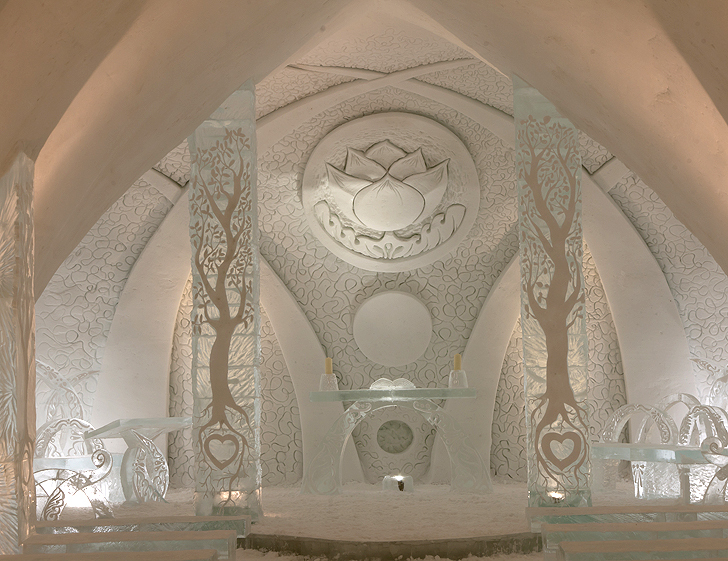 The hotel even boasts an ice chapel where lovebirds—who didn't fly south for the winter—can wed.
<h3><big><a href="https://inhabitat.com/harbin%E2%80%99s-luminous-ice-and-snow-festival-features-unbelievable-structures-made-of-frozen-water/">HARBIN INTERNATIONAL ICE AND SNOW SCULPTURE FESTIVAL</a></big></h3><p> For nearly 30 years, hundreds of thousands of people have flocked to the <a href="http://www.isharbin.com/">Harbin International Ice and Snow Sculpture Festival</a> in northeast China to witness dazzling works of man-made ice architecture. 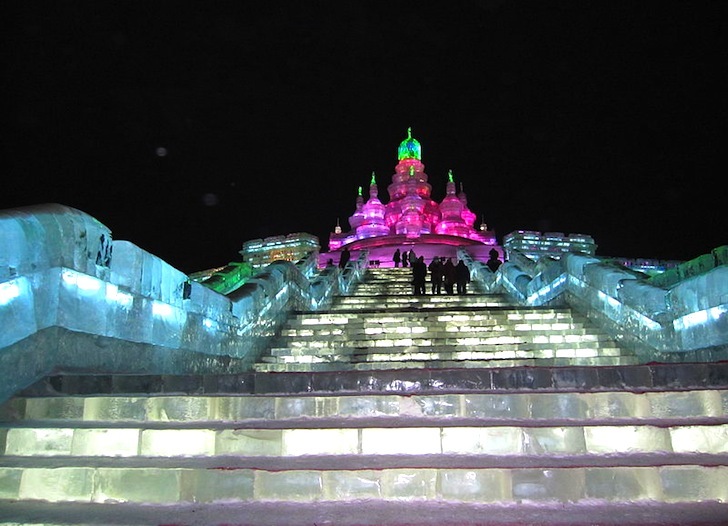 Chunks of ice are brought in from the frozen <a href="http://en.wikipedia.org/wiki/Songhua_River">Songhua River</a> and molded by talented sculptors into jaw-dropping life-size creations, which are placed throughout the city. 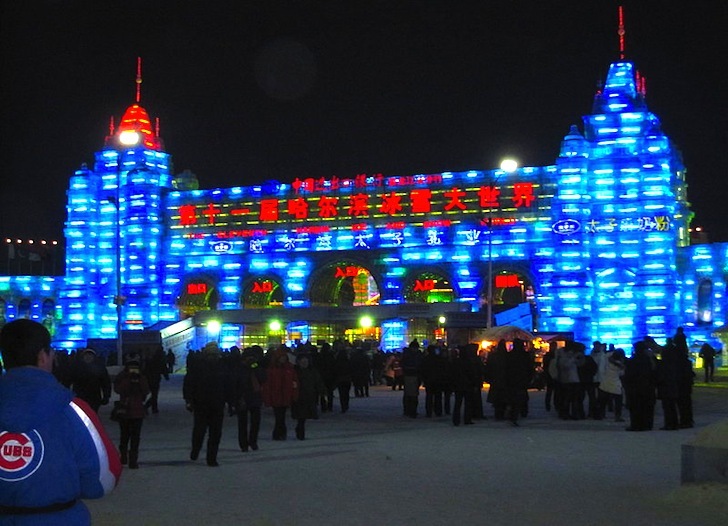 <h3><big><a href="http://icestudio.ru/en/project/elements.php?IBLOCK_ID=49&amp;SECTION_ID=371&amp;ELEMENT_ID=2771">RUSSIAN ICE PALACE</a></big></h3> The ice palace in <a href="http://en.wikipedia.org/wiki/St._Petersburg,_Russia">St. Petersburg, Russia</a> first appeared in 1740 as a commission by Empress Anna Ivanovna to celebrate victory in the Turkish war. 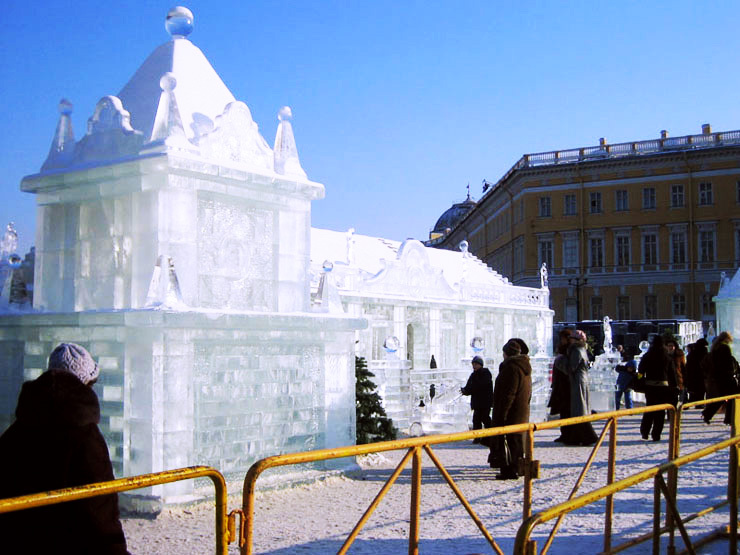 In 2005 historians worked to recreate the structure with a team of 14 ice masters led by famous ice-sculptor, Valerij Gromov. Following detailed plans left by architect <a href="http://en.wikipedia.org/wiki/Pyotr_Yeropkin">Pyotr Yeropkin</a> centuries ago, the ice palace was rebuilt to include the 20-meter-tall by 50-meter-wide palace, a garden filled with ice trees and an ice statue of an elephant. The interior of palace is also furnished with furniture made of ice, including an ice bed with ice mattress and pillows. The palace is reconstructed every year. 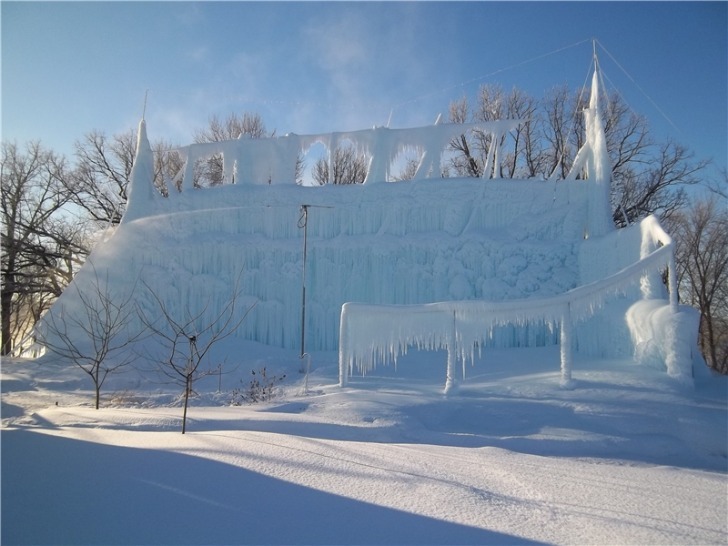 <h3><big><a href="https://inhabitat.com/minnesota-man-uses-geothermal-heating-system-to-build-soaring-ice-castles/">GEOTHERMAL ICE CASTLES </a></big></h3> Ice man Roger Hanson decided to pass on building boring backyard snowmen, spending the last four years growing himself larger than life ice <a href="https://inhabitat.com/incredible-cathedral-built-by-one-man-with-salvaged-materials/">castles</a> instead. Using a <a href="https://inhabitat.com/uk-engineers-search-for-geothermal-reservoirs-under-newcastle/">geothermal</a> heating system, special sprayers and a computer program he created himself, Hanson builds crystalline masterpieces that get bigger and more elaborate every year. 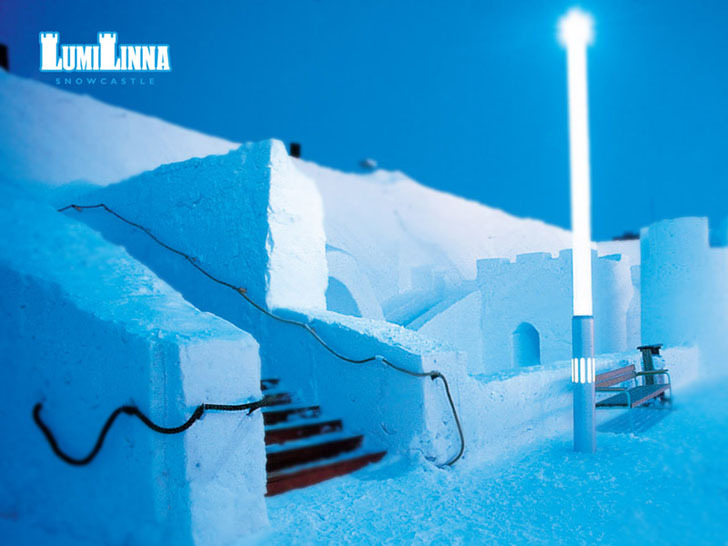 <h3><big><a href="http://www.snowcastle.net/en/homepage/">FINLAND'S LUMI LINNA SNOW CASTLE</a></big></h3> The <a href="http://www.snowcastle.net/en/homepage/">SnowCastle of Kemi </a>by the Gulf of Bothnia in Finland is a source of great pride for locals, and a showcase of the architectonic "snowmanship" of its constructors. 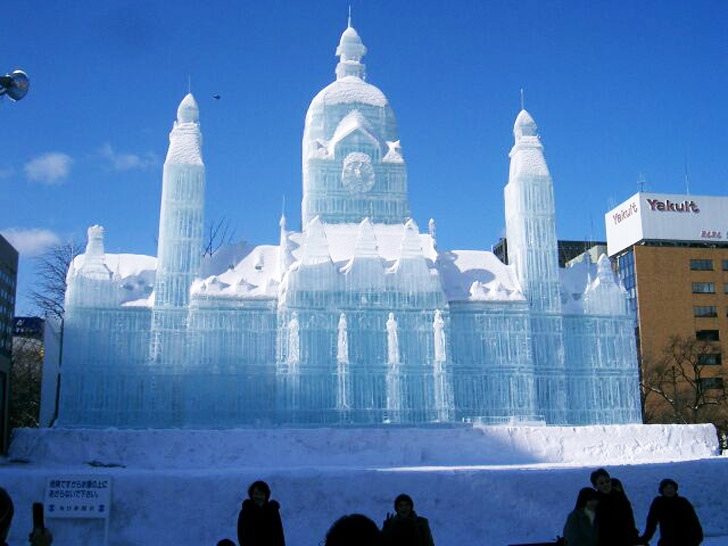 Construction of the SnowCastle starts in December and it takes approximately 5 weeks to complete. 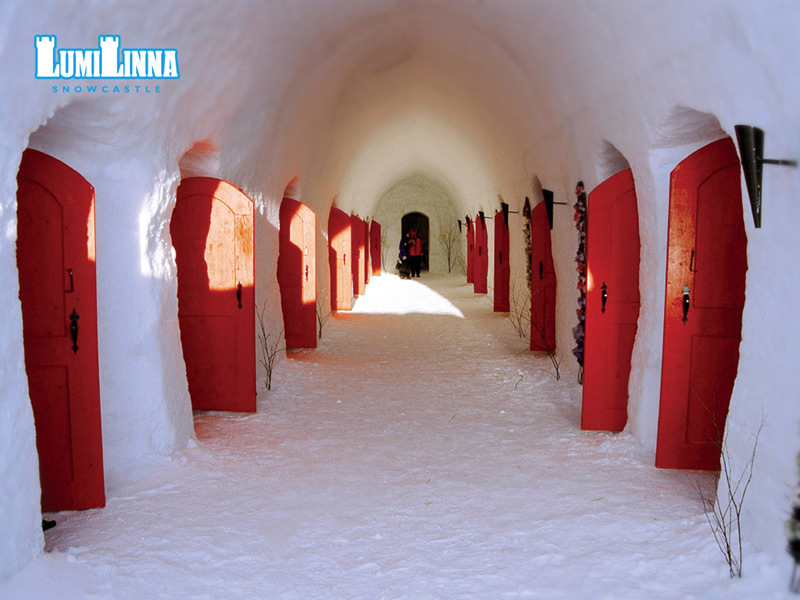 Because natural snow is too soft, the castle's builders make new snow out of the sea water using snow pipes. 2015 marks the 20th anniversary of the SnowCastle. 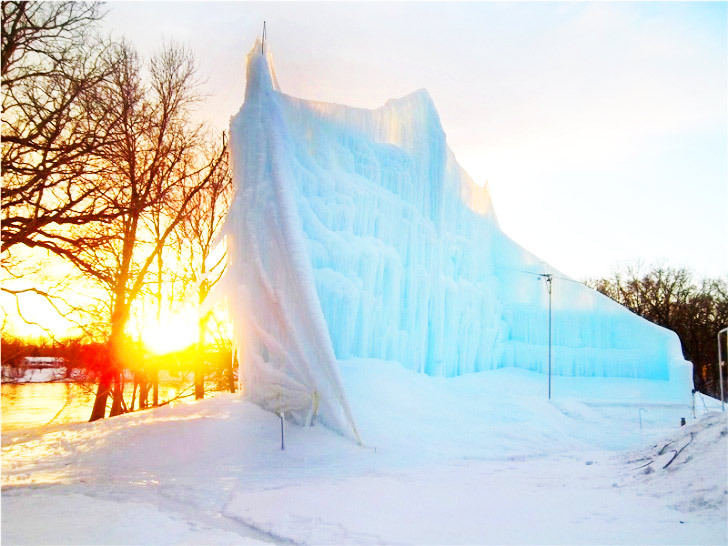 While most of us in the northern hemisphere are turning up the thermostat, several creative designers are turning that below-zero chill into incredible examples of ice architecture. 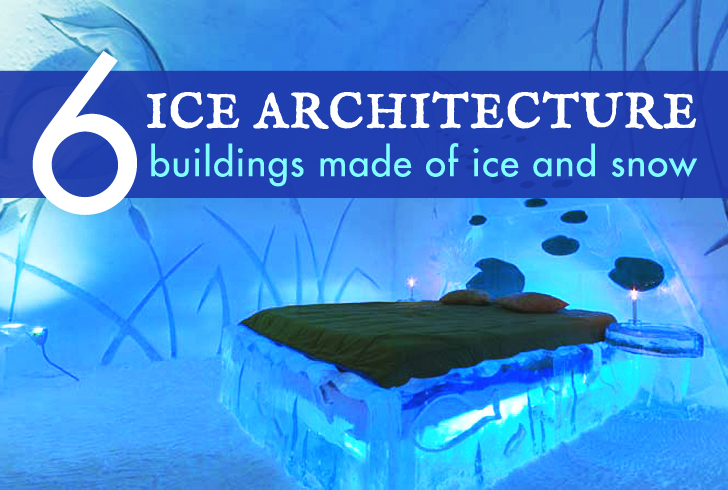 We've scoured the world's coldest corners to bring you a flurry of beautiful buildings and interiors that have been built from ice and snow. 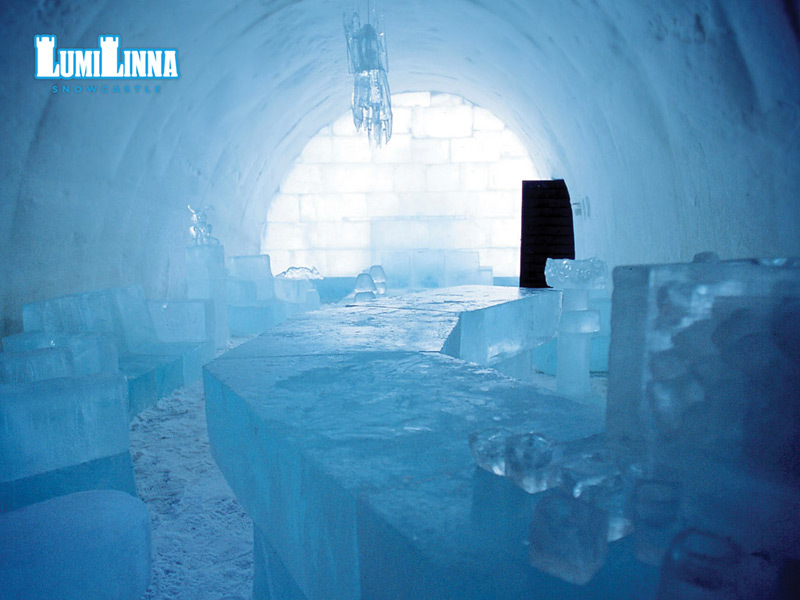 From a Tron-inspired ice suite in Sweden to a sparkling snow castle in Finland to an icicle-laden citadel built in Minnesota, hold on tight to your hot cup of joe and hit the jump for a sampling of some of the coolest frozen structures on earth.